The problem of unemployment in Uganda and much of Africa is a serious one, food and social services for the millions of young people in a matter of years from now. Economically speaking, unemployment in Uganda has been caused by two fundamental factors; rapid population growth, and the failure by the economy to transform and thereby create productive jobs to absorb the rapidly expanding labour force. Rapid population growth by itself has created a heavy dependency challenge that undermines productivity particularly for women as many are forced to stay home to take care of family in unpaid work. Development experts consider a country’s human resource as its greatest asset. Indeed, the youth are generally considered a source of great potential and therefore an asset for a country’s development owing to the assumed physical and mental abilities. But this is largely dependent on whether majority of the working age population is skilled to innovate and create things. However, the economy’s failure to grow and also to transform fast enough from one that is predominantly a raw-material subsistence based economy with low paying and unreliable jobs, coupled with the country’s education system that does not train for skills, has produced an army of millions of unemployed and unemployable youth. Experts believe that the young people, in their current state, are a liability rather than an asset. 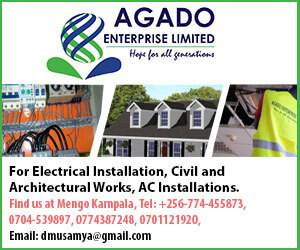 A recent report by the International Labour Organisation (ILO) in collaboration with the government of Uganda found that 68% of young people were underemployed and almost 15% unemployed. Policy makers and other development players seem to understand the challenge at hand as seen from programs and statements but their policy responses have not only been shrouded in confusion, but remain utterly inadequate in tackling the scourge of unemployment in the country. Although Uganda’s overall economic output (GDP) has expanded considerably over the past decades from US$4.27bn in 1987 to US$26bn in 2015, different studies have concluded that ours has been jobless growth. This partly means that growth has happened more in sectors such as the services sector (trade, education, ICT) that employ fewer people, and less in sectors such as agriculture that support majority of the population through employment as well as for subsistence purposes. Agriculture’s very slow growth witnessed over the past two decades, as seen from its failure to modernize by increasing the amount of output per farmer, is at the heart of Uganda’s unemployment crisis. A new report titled the Employment Diagnostic Analysis (EDA) April 2017 reveals that although agriculture employs 34% of the country’s 7.7m active labour force participants, its productivity in terms of work hours per week is the lowest at 19hours, compared to all other sectors of the economy. Because of very low productivity, nearly 70% of the population – including those in the subsistence sector, contribute just 25% to GDP as farmers. Sadly however, this is the sector that employs majority of the young people. Its low productivity and the associated shocks its suffers in the form of recurrent droughts and pests, have condemned a great proportion of the youth population into poverty. The situation has not been helped by the government’s incoherent and inconsistent strategy on youth employment by emphasizing industrialization as the preferred path for economic development. In various statements, President Museveni has sent mixed signals on youth employment by emphasizing at different times that his government would promote industrialization as the path to middle income status even when statistics do not appear to support that position. In his most recent State of the Nation Address, President Museveni dismissed calls for greater investments into the agriculture sector and instead rallied the nation to embrace industrialization. At other instances, the president has encouraged youth to set up groups to invest in agriculture. For example, over 50% of the projects supported by the Youth Livelihood Programme managed by the Ministry of Labour, are in the agricultural sector. After years of trying and failing to hook up jobs in the manufacturing sector or in the service sector, many youth have scaled down their expectations and moved into agriculture, according to the EDA study, while others have sought jobs as security guards, cleaners and drivers in Arab countries. Besides agriculture’s ‘stagnation’, reports by the Uganda Bureau of Statistics (UBOS) indicate that other sectors of the economy such as manufacturing that previously expanded and used to be a source of jobs, have weakened in recent years. Still, all these efforts appear to be a drop in the ocean as the unemployment/underemployment problem is getting out of hand, according to experts. “We are having youth unemployment which is over 60%. There is no government which can survive that level of unemployment anywhere in the world, unless it uses authoritarian means,” Prof. Kiiza said during a recent pre-budget analysis. 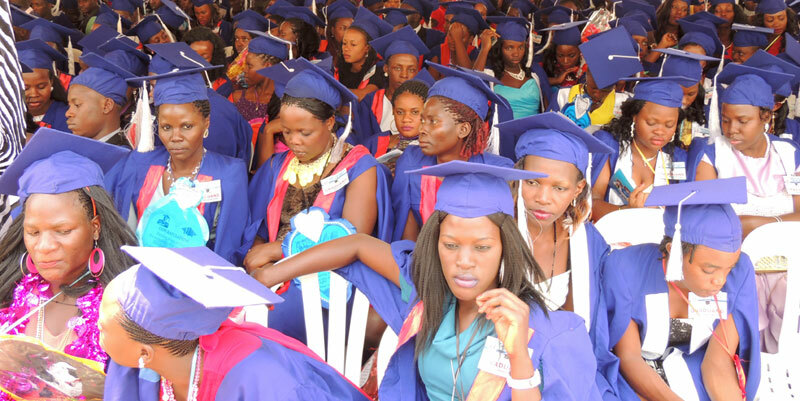 Analysts argue that to overcome the problem of runaway unemployment, Ugandans need to embrace mindset transformation. Both policy makers and the general population have to change our attitudes and values. Some of the most critical mindset shifts necessary, some have argued, include the need to embrace vocational education to empower the youth with handy skills to work in factories but also to create businesses. At a social level too, the South Korean Ambassador Park Jong Dae, recently argued, young people need to change their attitudes and reject corruption, gambling, and the get-rich-quick attitudes. Using the Korean model of Saemaul Undong (small village movement), philosophy, the Koreans have preached hard work, cooperation and self help or self sustenance to instill among Ugandans the kind of mindset changes needed to defeat unemployment in Uganda. In the final analysis, addressing unemployment requires mindset changes at all levels; among leaders, the community as well as at the individual level. And knowing the high cost of raising children to both the family as well as the society, Ugandans would, like many successful countries, be better off by having fewer babies than they currently do.